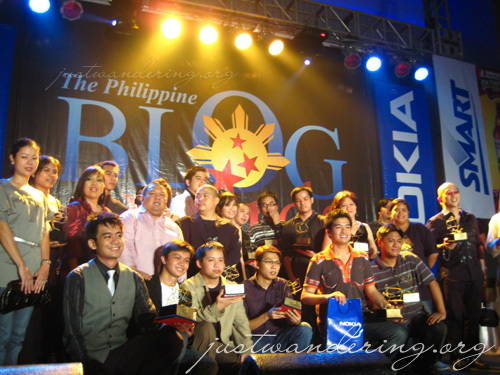 I was a mere spectator during the first Philippine Blog awards. I wasn’t even that interested in the local blog scene then. While the movers and shakers of the Philippine blogosphere was converging at the RCBC Tower for the awards night, I was busy catching up with friends, as I just arrived in Manila after three months overseas. This year was a completely different story altogether — I find myself involved in the awards, not only being friends with the organizers, but I was also a volunteer and a finalist. When the PBA website announced that nominations are already open for the 2008 Blog Awards, I wasted no time in nominating my favorite blogs, hoping at the back of my head that someone would nominate me too. When the nominations have closed, I was surprised to receive an e-mail asking me for the best 5 posts in my doll blog. To say I was shocked was an understatement: the blog is fairly young and hardly updated. Still, I was flattered, and vowed to update it more often (I still haven’t; shame on me). 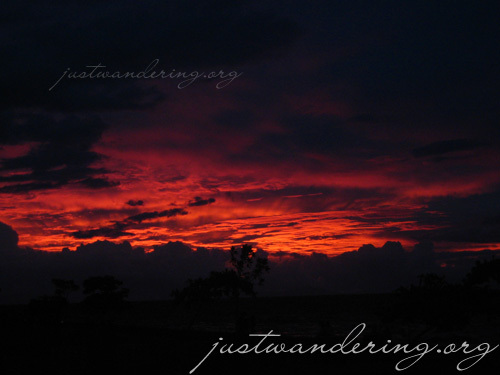 Soon enough, I get another e-mail, similar to the first, but this time for this blog, Justwandering.org. I couldn’t be happier — this travel blog, after all, is my passion. I sent my five posts for both blogs and hoped for the best. More surprises await me when the finalists were announced. Kainpinoy.com was among the 41 blogs up for the Blogger’s Choice Awards. Then when the finalists for the best blogs were announced, I was elated to see that Life on Pinky Street and Just Wandering made the cut. The last surprise was seeing Heinji’s Adobo Bento entry shortlisted in the Single Post category. Despite being a volunteer, I never won in any of the awards my blogs were nominated and shortlisted for (what a loser!). However, I’m glad to see two of my favorite bloggers, get the recognition they deserve: Ferdz for the Best Travel Blog and Estan for his entry, How I broke a ritual taboo in Batad, which also won the writing contest I had last year. I’ve experience handling two events, and both accounts left me slightly traumatized. I’ve since been wary of event organizing, so I wasn’t too excited about being a volunteer. However, the people behind the event more than made up for it: they were people I know and they were people I love hanging out with. I have to say I was quite glad I volunteered. I was able to see firsthand how the organizers manage to exhibit grace even under pressure, and how the volunteers give their all for an event they all believe in. It’s amazing how everybody spent precious spare time and energy for a project that wouldn’t give any monetary compensation, and even got a lot of flak afterwards. It’s really disheartening, but eh, what can you do? You can’t please everybody. The Batang Yagitt (who is not so yagit) was mobbed by the press. That’s his campaign manager, Jehz, who’s taking a video/photo of him being interviewed. A fitting end to this post, I believe is a snippet from Jayvee’s own closing remarks during the awards night. I barely paid any attention to it, as I was preoccupied at the dessert station. I’m glad Jayvee published a copy of it online because it’s something both bloggers and non-bloggers must read. “But what is truth?”, asked Pontius Pilate. What is the truth behind pay per post, behind controversies of SEO and the “nofollow” variable, about link selling or blog advertising, or attending blog events? The truth? The Truth is Conviction. If there was a right answer, we wouldn’t be blogging. Rather, what is important is that when we are asked what our personal convictions are about these things, we tell the unbiased truth, and unlike Pilate, we should not wash our hands. As bloggers, we value our convictions and integrity the most. Character, Dealing, and Conviction. I forgot to mention – if you translate “dealing” into a habit, it is called Prudence. These are three things that sum the totality of my message: It is not about how well we blog – it is about how well we live our life. I had so much fun that night before the event. Despite last minute challenges, we made it. Thanks for helping out. Great post, Niña! I’m so happy for you, that THREE (count ’em) THREE of your blogs were in contention for awards! Obviously you’re doing good work here… and it’s being noticed!!! To a well-deserving co-volunteer, cheers Nina! Congratulations sa hard work mo! thanks sa link love nina c u on PBA3! 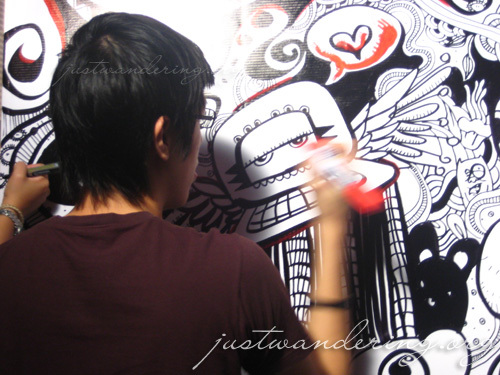 Sayang nga lang, di ako nakapunta since I had to do some unscheduled client work. Noemi: It was a pleasure. Congratulations to you volunteers. Dami nyo ring na contribute on pulling off this awards. Being nominated is a start. Maraming salamat Nina!